I love St. Patrick's Day! I can't even tell you exactly what the entire premise of the holiday is (is that bad? 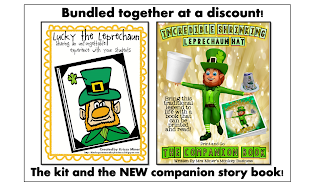 ), but I love the whole tricky leprechaun theme (and all things rainbow and gold, of course). I've done all of the fun activities that you hear everyone talking about like messing up the room, putting green food coloring in the toilet and making traps. But, I don't do those things anymore- I haven't done any of it since I came acrossed the shrinking hat activity and now THAT is how we celebrate the leprechauns in kindergarten! It is such a fun and memorable activity, that is truly all you need to have a little fun with your itty bitties (or children of any age for that matter). It is one of those activities that I am just so excited to share with my students, as well as my own children, year after year. It never seems to lose its magical appeal. Of course, before we begin, I really talk up the "legend" (I totally make it up year after year--but it so makes the project all that more fun!). You, too, can make it up or I do have it available in my Lucky Leprechaun Activity Kit (with all of the materials you need for this project along with activities to follow up with the next day). When you bring the tiny little hats back to school, I recommend putting gold coins and other "booty" in and around each child's hat. Leave a letter (written by you from Lucky or printed from my kit) for the children. Be sure to use an Irish dialect in the letter since it is from a wee leprechaun! Lucky always leaves us a secret message hung all over the room that the children need to decode (also included in the kit) and it is so much fun. It is also fun to take pictures of the kiddos with their hats on and do a writing piece about the experience. The students NEVER forget this activity...it really is quite amazing how cups are turned into an actual miniature hat by those sneaky leprechauns (even though I know it is science, I prefer to continue to view it as magic as I watch cups turn into tiny hats ! 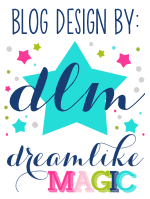 Click here to get this follow up freebie for this project. -EASY SCHMEASY for only $5.00!